I got these exklusive and brutal shirts some week ago but since I have been behind with everything I haven't had the time to post it until today. 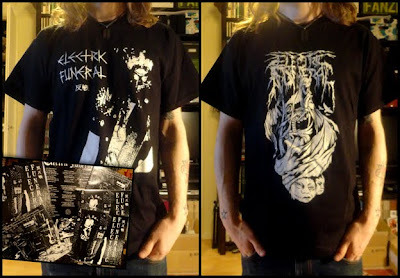 I got a few shirts of the left design (S, L, XL) for sale, 100sek + postage. The right design is made by ADMC ARTWAR. Check out their blog for even more darkness. I don't have anyone for sale, but if you wanna buy it click here, here or here. I also got 5 copies of the first 7inch "Make noise, not war" from Detonate. 40sek + postage. 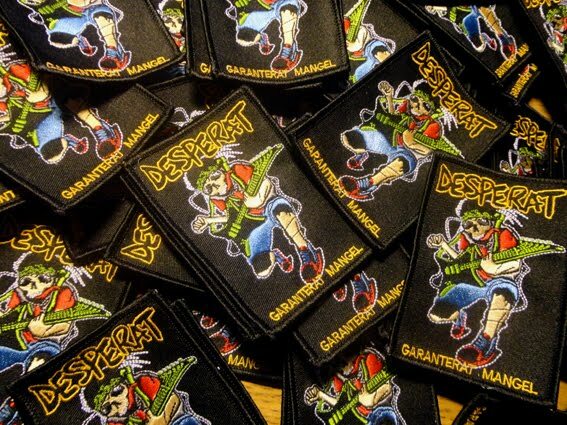 Desperat embroidered "Garanterat Mangel" patch 30sek + postage. Amazing art by ENDA84. Thanks!